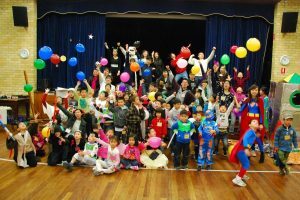 During the July winter school holidays, Grace International Congregation hosts a Kids Club for our local community in the St George area. We have been running this annual program since 2010. 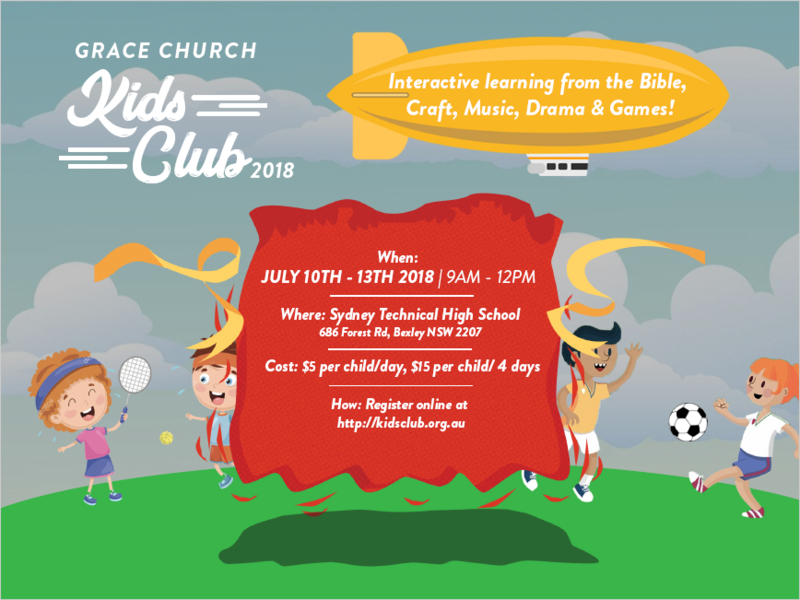 This action packed four day event is for children in school years K – 6, and includes interactive learning from the Bible, games, craft, music, food and drinks. On the last day we have Gym Jam (fun and energetic games) and a light lunch for all. During this event, the children are cared by church volunteers in a safe environment. It gives you (the parent!) a break and time for yourself such as shopping, catching-up with friends or even visiting their hairdresser! Kids Club is over for 2018, keep an eye out for more information about Kids Club 2019!